1. Pero R. "Medical Researcher Excited By CBSRF Project Results." The Chiropractic Journal, August 1989; 32. 2. Brennan P, Graham M, Triano J, Hondras M. "Enhanced phagocytic cell respiratory bursts induced by spinal manipulation: Potential Role of Substance P." J Manip Physiolog Ther 1991; (14)7:399-400. Why Are the Holidays Stressful? During the holidays we become very busy. Although many of our activities are joyous we also experience great stress from all of the social obligations that we are now a part of. Parties, family gatherings, shopping and over indulging in foods and alcoholic beverages can all strain our immune system. Add that to the regular everyday factors such as lack of sunlight, poor air quality and bad diet and you have a recipe for health problems. When the immune system experiences too much stress it can lead to a breakdown which makes us more susceptible to disease and infection. So during this time of year it is very important to incorporate strategies to keep your immune system strong and healthy. What Foods Can Help Us Boost Immunity During the Holidays? Garlic:This incredibly wonderful member of the onion family can pack a big punch to strengthening the immune system. This is due to the sulfur compound found in garlic which is known as allicin. Eating garlic can increase white blood cell count and reduce free radicals in the bloodstream. Ginger: Ginger contains substances that help fight infections and aid in digestion. Particularly during the holidays when many people maybe overindulging, having a delicious cup of hot ginger tea will treat stomach aches and fight off the flu. Yogurt: The healthy bacteria in yogurt is known as probiotics. Eating yogurt helps to maintain a healthy balance of good flora in your intestinal tract. This is important because a compromised intestinal tract can allow bacteria and viruses to flourish. Try to stick to the yogurts that are not loaded with extra sweeteners. Fruits: Fruits are fantastic for strengthening immunity. One of the best is the orange. Remember the old saying, "an orange a day can keep the cold and flu away?" It is true. Oranges have a very high vitamin C content which of course strengthens immunity. Additional good fruit choices are kiwi, strawberries and papaya. Turmeric: This fragrant spice is widely used in Asian cooking. Tumeric is a powerful cold and flu fighter due to the curcumin compound that it contains. It is also an anti-inflammatory and will boost your immunity. An August 27, 2014 study published in the online edition of the Canadian Medical Association Journal says that arthroscopic surgery for degenerative meniscal tears in patients with mild knee osteoarthritis (OA) had no benefit for function or pain. Five of the trials assessed longer-term function, up to 2 years after the procedure, and the knee outcome scores did not meet the threshold of minimally important difference to patients. Another tool for evaluating function, the Lysholm Knee Scoring Scale, also found no improvement with surgery in three trials. "The [minimally important difference] is the smallest effect that an informed patient would perceive as valuable enough to justify a change in therapeutic management when weighing the anticipated benefits against the possible harms of an intervention," the researchers explained. Three trials considered long-term pain, and once again found no improvement in pain scores. Two of the trials studied included information on adverse events. In one, there was an infection in the surgery group, and in the second, three patients in the surgery group and two controls had serious adverse events, including one death in each group. "In the context of limited healthcare resources, clinicians must carefully select patients with degenerative meniscal pathology who would benefit from surgical intervention," Khan and colleagues wrote. In a related news release, co-author Mohit Bhandari, MD, PhD, also of McMaster University, said "arthroscopic debridement or washout of knee osteoarthritis has come under lots of scrutiny based upon trials that suggest patients get no benefit from the procedure. We're concerned that many surgeons worldwide may still be doing this procedure." A direct link between certain vaccinations and autism was shown and discussed in two published studies. The first of these studies is a scientific article published on August 27, 2014, in the journal Translational Neurodegeneration, that exposed a link between Measles-mumps-rubella vaccination and autism in African American boys. The study is titled; "Measles-mumps-rubella vaccination timing and autism among young African American boys: a reanalysis of CDC data." 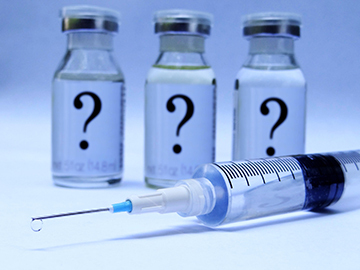 This study suggests that the data showing the link between MMR and autism was available for a number of years but was evidently covered up by the CDC and influences in the vaccine community. The results of this study state, "When comparing cases and controls receiving their first MMR vaccine before and after 36 months of age, there was a statistically significant increase in autism cases specifically among African American males who received the first MMR prior to 36 months of age." Not long after this first study was released, many pro-vaccination forces voiced their concerns. After what must have been intense pressure, the CDC study was retracted from the journal and suggestions were made that the author, a senior researcher for decades at the CDC, had a conflict of interest and his research was flawed. The second study linking vaccinations to autism centered around the chicken pox, Hepatitis-A and MMR vaccines. Published in the September 2014 issue of the Journal of Public Health and Epidemiology (JPHE) is a study that reveals a clear correlation between autism disorder (AD) and MMR, Varicella (chickenpox) and Hepatitis-A vaccines. The results of the JPHE study state, "When comparing cases and controls receiving their first MMR vaccine before and after 36 months of age, there was a statistically significant increase in autism cases specifically among African American males who received the first MMR prior to 36 months of age." Lead author and scientist for the Sound Choice Pharmaceutical Institute, Dr. Theresa Deisher, pointed out that many of these vaccines are made using cells from aborted babies. This type of vaccine creates additional health issues. She stated, "Not only are the human fetal contaminated vaccines associated with autistic disorder throughout the world, but also with epidemic childhood leukemia and lymphomas." "What we have found is that across continents, and across decades, change points in autism disorder are clearly associated with the introduction of vaccines produced using human fetal cell lines," Deisher said. "Each time we inject our children with one of these vaccines, we are also injecting them with residual fetal human DNA."